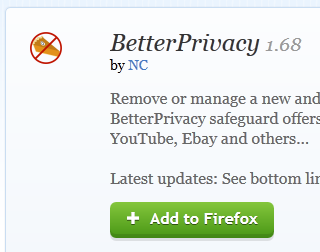 I use Firefox mainly because it’s got so many add-ons you can use to make your life using the Internet easier. If you do not have Firefox yet you can get it free (its Opensource software) by clicking on the following link: Get Firefox. 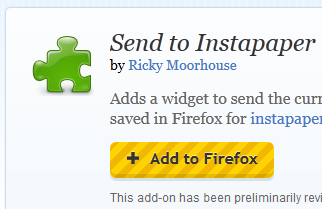 And if you are not sure how to install add-ons, click the following link which will tell you exactly how:Installing Firefox Add-ons. 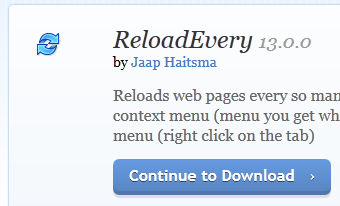 ReloadEvery is an add-on that allows you to reload any web page after a specific time (seconds or minutes). This is useful if you’d like to stay logged into a website that automatically logs you out after it period of inactivity. It’s also helpful if you are following the price developments of a company closely as the add-on allows you to automatically refresh a page and thus the share price continuously. As an investor I’m sure you read a lot. I’m sure you also sometimes find something on the Internet that you like to read later but don’t really know how to bookmark to make sure that you can return to the exact page in future. This add-on allows you to put articles you’d like to read in a “Pocket” that automatically synchronises with your telephone or tablet computer so you can read the article at any time even without an Internet connection. The add-on Send to Instapaper the same as Pocket allows you to save something you’ve come across on the Internet so you can read it later. I have found instant paper specifically useful to save web content for later reading on my Amazon Kindle. It however also works with an iPhone, iPad and iPod Touch. 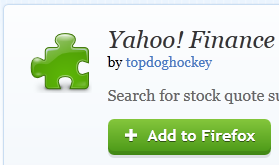 This is probably the most valuable tool you can use to easily store and search all the internet research you do for your investments. 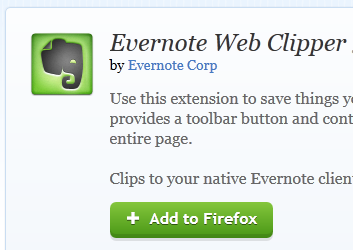 Before you can use the Evernote web clipper you have to get an Evernote account. Don’t worry it’s easy and free (if you do not want to store tons of information) just go to theEvernote Website. To see what Evernote can do click the following link: Evernote –Remember Everything. 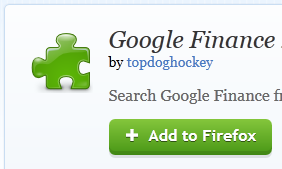 This enables you to quickly mark something on a web page and save it to Evernote. Look out for a future article on how you can use Evernote to do much more thorough research on a company and have all the information always at your fingertips. It comes standard with a few search engines such as Google, Yahoo, Bing and Amazon. 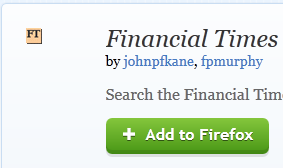 But you can also add other search bars that can help you to, for example, search the Financial Times website directly rather than first going to the website, waiting for it to load and then typing in your search words. Equity pilot then gives you a long menu when you can quickly get information on the company selected from various other websites including Reuters, Bloomberg and the Financial Times. The add-on basically, for the company you have selected, gives you quick access to numerous other financial website to help you with your research. To find out how it works click the following link: How to use Equity Pilot. The following three add-ons don’t have anything to do with investing but it can make your browser faster which is always helpful, especially with pages that have a lot of advertising or if your Internet connection is not that fast. Adblock plus saves you from being annoyed by adverts and banners. It also helps websites to load faster, specifically helpful if you’re on a slow Internet connection. Flash can be found in those annoying animated ads you see on a website. Because they are animated they continuously attract your attention away from what you’re trying to read. 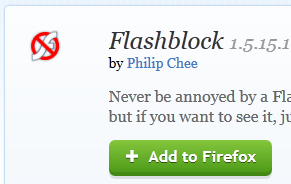 Flashblock turns all flash animation on a web page off making it easier for you to read. If you want to activate Flash on a specific website just have to right click on the blocked ads or video and allow Flash for that specific website. Examples of websites I have allowed Flash on are Google Finance and Yahoo Finance as the charts requires Flash to be displayed. This add-on also does not have anything to do with investing but something that allows you to do your work or play on the internet in more privacy. The BetterPrivacy add-on allows you to get rid of the new kind of Flash cookies companies use to track your actions on the Internet. To learn more about flash cookies here is the Wikipedia link: Local shared object.